We’ve seen some good sequels and we’ve seen plenty of bad ones. But when a movie franchise hits Part 3 the test for a continuing storyline is at its toughest. Most of the time Part 3 is a lazy retelling of the first two movies (“Friday The 13th Part 3”), a studio cash-in (“Spider-Man III”), a misjudged change of direction (“Halloween 3: Season of the Witch”), or a weak ending to a film trilogy (“Scream 3”, “The Godfather Part 3”). But sometimes we’ll find a really good third movie – one that we discover is better than Part 2. Continuing our (controversial) look at film sequels, read on to see the 10 best Part 3s that are better than the Part 2s which preceded them. A massive improvement over the sequel “Poltergeist 3” has enough scares along the way to make it a worthy follow-up to the successful original. Many people’s favourite Griswold family film, this second sequel is a huge improvement over the messy first sequel. 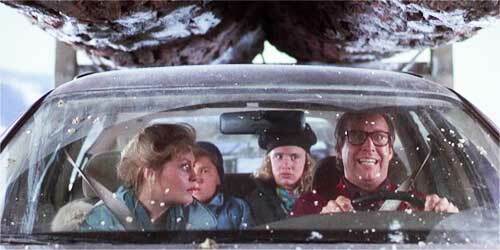 This time the Griswold aren’t travelling anywhere, they are planning a relaxing Christmas at home. But of course things don’t go smoothly. After John Carpenter’s “Halloween” we were subjected to endless horror film sequels that span decades and continue today. In the “Nightmare on Elm Street” franchise, Wes Craven would return to the director’s chair for the brilliant “A New Nightmare”, a pre-“Scream” postmodern horror film that was gleefully self-aware and parodied the conventions the original film helped make doctrine. Of the other sequels, however, “A Nightmare on Elm Street 3: Dream Warriors” stands out. It hasn’t yet fallen into the trap of making chief villain Freddy Krueger a comedic figure. It takes the essence of the original story and moulds it around a largely unique tale of a bunch of harassed kids fighting back in their dreams with the help of original heroine Nancy Thompson (Heather Langenkamp). Writer of “The Exorcist” William Peter Blatty writes and directs this second sequel which seeks to be closer to the tone of the original film than the overblown “Exorcist 2: The Heretic”. 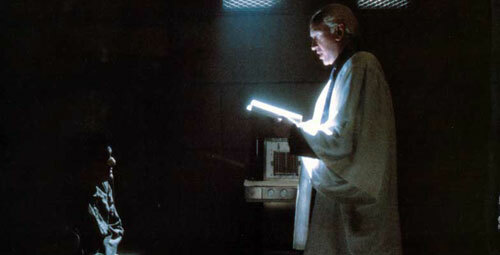 By far the better film, “Exorcist 3” features one of the best jump-out-of-your-seat moments in any horror film. 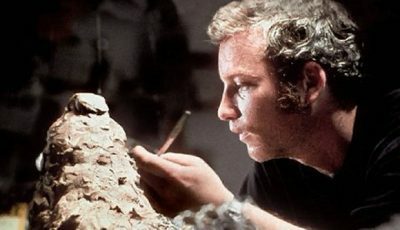 While it doesn’t live up to the original’s overpowering terror, the film is still an excellent sequel that again intelligently investigates one of Blatty’s favoured themes – faith. This was the first Harry Potter film I saw and remains one of the best of the franchise. The film before it, however, is one of the weaker efforts in the Harry Potter catalogue so this is an easy one to include here. 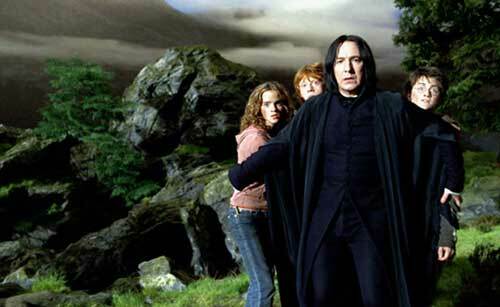 But that should take nothing away from the “Prisoner of Azkaban”. The key characters including Daniel Radcliffe as Harry Potter had become more accustomed to their roles, they had improved as actors, and with that improvement so had the story. This is much darker than the first two films and has a wonderful time-travelling sub-plot that works particularly well. The film also benefits from top performances from the older members of the cast, especially Gary Oldman who appears far too scarcely but is at his devilish best. After the mixed reception to “Die Hard 2” John McTiernan, director of the original film, returned to the helm to get the franchise back on track. Based on a script that was originally a stand-alone film and then adapted to the Die Hard characters, “Die Hard with a Vengeance” is a fast-paced, high-octane, hero versus villain action film that benefits from an on-form Bruce Willis back in the character he personifies so well with the addition of sidekick Samuel L. Jackson. There isn’t much to choose between the films when it comes to Peter Jackson’s “Lord of the Rings”. It is one of the best trilogies ever made. Many feel the second film is the best of the trilogy, some feel the first is the best, but for a trilogy that is all about scope and scale, the third and concluding part is the perfect third course. The Indiana Jones trilogy (well, what was a trilogy until Spielberg decided to produce a CGI-ed mess of a fourth film) ended in a flourish. With the swashbuckling bravado of the first film reinstated, “Indiana Jones and the Last Crusade” has become one of the most loved Part 3s. Director Robert Zemeckis simply had to follow-up his story of time-travelling teenager Marty McFly and his eccentric friend Doc Brown after leaving the audience on tenterhooks at the end of “Back To The Future”. 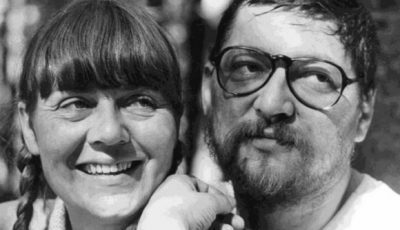 Zemeckis has frequently said the ending of the film was a joke on the filmmakers part – the film had come to a satisfactory conclusion and the inferred time-travelling adventures to come were simply a way of saying our two heroes were not done yet. But after the success of the original and sequel was requested by the studio. 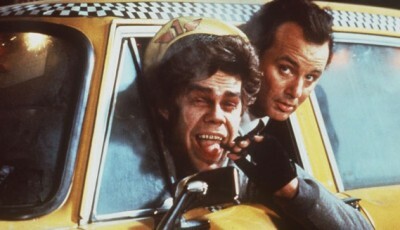 Now Zemeckis and co-writer Bob gale had to come up with a whole movie based around their joke ending. Instead of one movie, we got two. And Part 3 is, by a small margin, the better of the two. What makes “Back To The Future part 3” so great, and one of the best sequels ever made, is how the focus switches to the most interesting character of the trilogy – Doc Brown. Zemeckis and Gale concoct another fine story that is the almost perfect construction of classical narrative you’ll ever see, but the focus on Christopher Lloyd’s Doc Brown makes it the more interesting, more emotionally moving of the two sequels. With its suitable epic ending it’s also the more satisfying. If “The Godfather part 2” is the film everyone thinks of when contemplating the virtues of sequels over originals, then “The Good, The Bad, and the Ugly” is the one everyone thinks of when it comes to Part 3. The greatest Spaghetti western ever made brings together the component parts seen in the first two movies to create this crowd-pleasing, epic finale. The concluding part of Sergio Leone’s Dollars trilogy is considered by many as one of the best films ever made. NB. 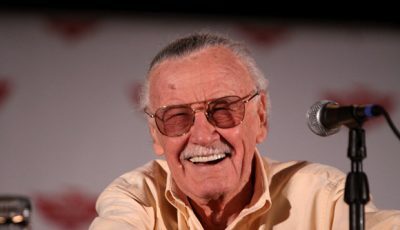 Due to a gross oversight, a clerical error, and coffee spilt over the computer “Indiana Jones and the Last Crusade” was unfairly missed when collating this top 10. Thanks to Will at Silver Emulsion for pointing out the mistake. Several staff members have now been fired. Indy has now replaced the contentious choice of “Once Upon a Time in Mexico”. Although being a huge Desperado fan, I’ll give you a mulligan on Once Upon A Time in Mexico. So right about Die Hard with a Vengeance though. LOVE that movie, might even like it more than the original. Well, time to revisit that one now. Good list. A vast improvement over the “sequels” list. It’s hard to argue against the top three – Leone’s film is indeed a masterpiece. I’m also happy with the selection of Dream Warriors, which is a little gem. I do have to admit that I would have replaced Poltergeist 3, Once Upon A Time In Mexico and Exorcist 3, with three favorite films of mine: Tarzan Escapes (1936), Escape from the Planet of the Apes (1971) or Army of Darkness (1992). I’m also a big fan of the much-maligned, and misunderstood, Psycho III. @Aiden: the Desperado/Once Upon Time decision was the toughest to make I have to say. @gelpi: I’m a big fan of Army of Darkness. I think it’s equally as good as the first two movies but I feel Evil Dead II just has the edge. Back to the Future 3 was a huge disappointment. It never really conveyed that time humor that the first 2 did so well, but finding a 3rd better than a 2nd, is hard to find nowadays. Dan, I feel Evil Dead II is almost an upgraded version of the original – larger budget, better special effects but same modus operandi. It is great, but a rehash nevertheless. Army of Darkness is a true original. The film tries something different and it succeeds. That gutsy approach makes me put #3 a few notches above #2. @CMrok93: I’ve always been surprised by those that think BTTF III is a disappointing film. 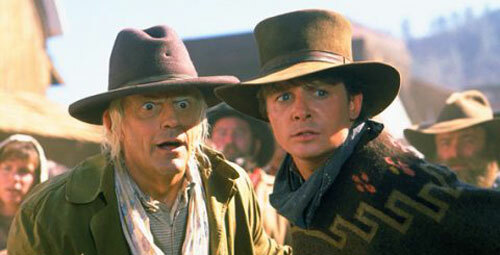 For me, the most interesting character in the trilogy is Christopher Lloyd’s Doc Brown and BTTF III is his film. I love the whole trilogy but I’d put part 3 above part 2 largely because Zemeckis and Gale focus on Doc Brown’s character with a wonderfully whimsical tale of love, the wild west, and flying trains! PERFECT choice for the #1 spot! I like your Christmas Vacation choice, I like that one as much as the original! I didn’t care for Poltergeist 2 or 3 but I have to agree that 3 is the better of the two. Nightmare On Elm Street 2 was pretty dreadful, so was Exorcist 2, part 3 for either was bound to be an improvement. Didn’t much care for Back to the future, so never seen the sequels and haven’t seen any of the Harry Potter films so I can’t comment there. I definitely enjoyed Desperado more than Once Upon a Time In Mexico though. But I can’t disagree that Rourke and Depp weren’t great additions. Well thought out list. Lovely choice with no. 2! I’d definitely agree with your point that the emphasis on Brown makes it better than its predecessor. 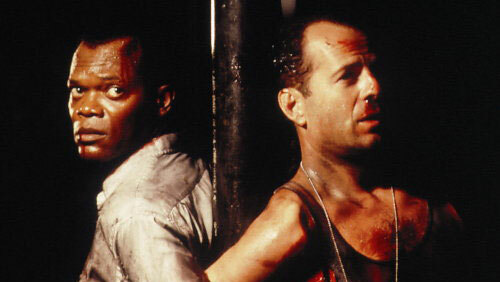 I can’t began to describe my love for Die Hard with a Vengeance. I remember, as a child, I used to love the title of the film because I thought “vengeance” was such a big word. All these years later and I’m still not tired of watching it. Dan, I have to disagree with you on Once Upon A Time IN Mexico. That was a truly ordinary film and in no way was better than Desperado…. No comment on Exorcist 3, though, because I haven’t watched it. The rest of your choices are spot on, however. Great list!! 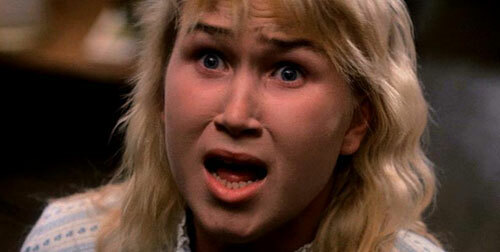 @goregirl: I know Exorcist 2 has its fans – well, a small minority but it was just too overblown. It felt like the cash-in sequel that wanted to exploit the concept and Regan’s character without a proper story. I liked that Blatty came back on board for the third film and it shows. Much better tone, some proper scares, decent story. @Roisin: Thanks Roisin, it’s nice to know I’m not alone in my love of BTTF III. great post Dan, although i have some disagreements. even when i was 11 i could tell Poltergeist 3 (is it the one in the hotel) was a big pile of steaming goo. 2 is underrated, it has the creepy preacher guy and the bit where Craig T Nelson spits out a giant tequila worm. man, i love Craig T Nelson. Once Upon A Time In Mexico lacks the tightness and shocking violence of Desperado and Return Of The King hasnt finished yet. youre right about Back to the Future though. @Ross: That’s the one Ross. It’s also the one where the old guy appears in those full length mirrors. My Mum used to have those mirrors (still has them actually!) and they scared the doo-doo out of me as a kid so the film has always held a special place in my heart. In fact, I probably saw Poltergeist 3 before seeing the first film. Glad you agree on BTTF III. No Godfather 3? Seriously though, lots of great picks! It must have been hard to come up with these as there aren’t a lot of part 3s better than 2s. Good to see some love for Back to the Future III. I’ve always really liked that one a lot and I think it’s just as good as the others. I think I like Part 2 a hair more though. I’d have Indiana Jones on my list for sure. I love them all, but Part 3 is definitely better than 2. 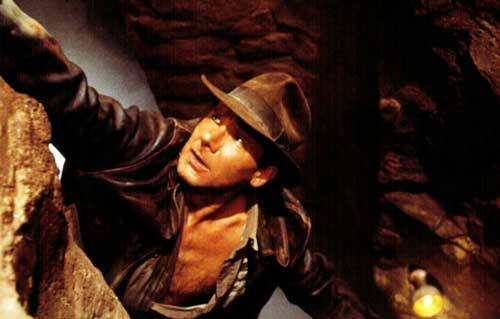 @Will: How could I forget about Indiana Jones and the Last Crusade…one of the best Part 3s of all time! Slapped wrists to self. I might have to amend the list and add Indy 3 to it. Some good #3 films on there, a few I hadn’t thought of before. Dream Warriors is an awesome pick, as is Return of the King. Bourne Ultimatum might be the only film I’d add to the list. I tend to hate the third installment of series, but you’ve pointed out a lot of the great ones. Great call on Nightmare on Elm street 3, love that movie in a don’t tell anyone about it can’t of way. Great list. I can’t disagree with a single one of those. After “Dr. No” and “From Russia With Love,” there was a lot of interest in Bond #3 before it came out. Whether you think that “Goldfinger” is better or worse than “From Russia With Love,” it didn’t disappoint when it arrived. BTTF III is my least favourite of the series and not that good a part 3 in my opinion. What ever happened to The Godfather 3, THe Bourne Ultimatum or Mission Impossible 3? Oooooo….very interesting idea for a post. Nice job here — and loving your #1 pick!!! This is a tough category, so good work!!! Great picks, esp. Die Hard. Hated the 2nd movie where they tried to bank on the original formula. I like the picks overall, although it’s pretty notable that the majority of these part IIIs are still a serious step down from parts one. Many of them shine only in relative comparison to crappy part 2s. In fact, only Harry Potter 3 and The Return of the King can really compete with the originals, and those are both based on a series of novels with progressive storylines. The rest are really cases of great movie-bad sequel-pretty good follow-up (although there’s some room to nitpick on a couple of them). Nice list! I really like Die Hard 3 (recently revisited it) and some of the films on this list I have not seen yet so that was inspiring. I agree to everything except no. 1, 7, 8 and 9 because I haven’t seen them yet. Harry Potter 2,both book and movie were disappointed, I’m glad the 3rd could make it up. Back to The Future 2 was so lame, the first one was still the best although the 3rd one can really stood up for the 2nd one. 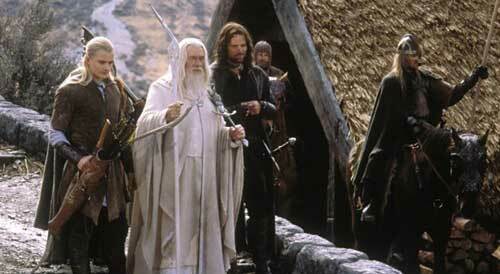 As for TLoTR,I love them all equally, I couldn’t say that the 3rdwas better than the 2nd…each has its own best parts. Dead right on Harry Potter and the Prisoner of Azkaban and Back to the Future III. I found BTTF2 really disappointing after the first film so it was great to see the trilogy rounded off so well. I could not think of a better third part than “The Good, The Bad and the Ugly”. It is, without a doubt, a great Spaghetti Western, perhaps the best, and a film that is timeless and still entertaining to this day. As for the rest of the list, I would need to think about it more to give a definite judgement, although I think you were right to introduce “The Return of the King”, “Indiana Jones” and “Back to the Future III”. Sorry but BTTF III is a total abortion of a “movie”, I’m a super massive fan of the first one (which is probably my fave movie ever) and could not believe how dull, crap and totally unwatchable the third one is…. @Max Parker: Ouch. While I agree that Back To The Future is a great film, I must disagree that it should have remained a single movie without its sequels. BTTF II has its issues but it is still a fabulously entertaining piece of cinema, while BTTF III actually improves on the BTTF II by ironing out its flaws. 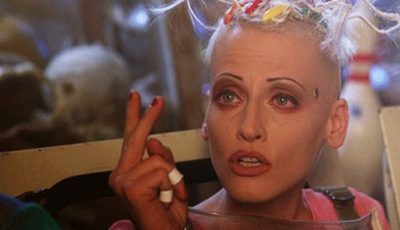 Back To The Future III is a better film than Part II because it focuses on perhaps the most appealing character of the entire story. And Zemeckis captures the setting perfectly. Essentially it shouldn’t be viewed against other westerns since it parodies the genre. I think it does this perfectly – with a little self-referential humour thrown in there too. Back To The Future was always about nostalgia and Part III is a glowing example of that. Excellent picks here. Couldn’t agree more with Christmas Vacation, Exorcist 3, The Good, The Bad and the Ugly and especially Die Hard with a Vengeance. Also, how cool is it that Brian Koppelman was tweeting you about this article? Awesome stuff. I just got around to this list. Nice! I especially agree with Nightmare on Elm street 3 it was so much better than part 2 and quite possibly my favorite in the series besides the original. Die Hard with A Vengeance way more entertaining than part 2 absolutely! I would have these further up the list. Rocky part 3 I would slide in here.